On Saturday, February 21, 2015 AAMCO, celebrated the opening of AAMCO University, their state-of-the-art training facility in Newnan, Georgia with a ribbon cutting ceremony and an all-day open house. On Saturday, February 21, 2015 AAMCO, the world’s largest chain of transmission specialists and leader in total car care, celebrated the opening of AAMCO University, their state-of-the-art training facility in Newnan, Georgia with a ribbon cutting ceremony and an all-day open house. The event, attended by several local dignitaries and over 150 AAMCO franchisees, marked a 6-month endeavor that began in August 2014 at a groundbreaking ceremony and culminated in an emotional moment when Lt.Col. (Ret) Robert Ledee, accompanied by U.S. Marine Veteran and AAMCO franchisee, Frank Filacchione raised the American Flag, the Georgia State flag, and the AAMCO flag to commemorate the official opening of the facility. AAMCO franchisees and invited guests were taken on guided, interactive tours of AAMCO University where they experienced real-time examples of the training activities available for AAMCO technicians, managers, as well as prospective, new and current franchisees. In addition to courses at the world-class Newnan headquarters and training complex, AAMCO University currently offers over 300 interactive courses via its online learning management system with many more in development. The franchisees watched demonstrations of both the lecture and hands-on technical instruction in the state of the art theater-style classroom and the on-site, full-service AAMCO center. They were thoroughly impressed with the technology laden facility’s ability to provide “distance learning” via webcasts and its ability to record detailed, hands on “how to” videos for the thousands of employees that may not be able to attend a class at any given time. Not only does AAMCO University offer extensive, specialized training, it also helps “students” define and identify career goals and chart their long-term career path. The curriculum elevates a career in the after-market automotive repair field to a professional level, based on recognized standards in the industry. It also gives the attendees new tools to ‘sharpen the saw’ in their daily work environment and ongoing opportunities for career development. As the demand for a workforce with highly technical skills continues to grow, the high level training curriculum offered by AAMCO University provides students with an ongoing mechanism to enhance their skills and knowledge, which leads to mastering their jobs and added professional development; with the ultimate result being better production in the workplace. “The automotive repair industry is increasingly more complex as the car industry continues to evolve, and it’s essential that our AAMCO owners, managers, and technicians continue to offer best in class service. We are committed to ensuring that our technicians have the training and expertise that our customers expect from our brand,” said AAMCO President and Chief Executive Officer, Brett Ponton. AAMCO University will continue to uphold the tradition of personal attention and service excellence the brand has enjoyed for over 50 years. The University’s inaugural class – consisting of new franchise owners – have already embarked upon their journey through the School of Franchise Ownership and are expected to graduate at the end of March. AAMCO Centers are independently owned and operated. * Various services, specials, or coupon offers are available at participating locations only All rights reserved. 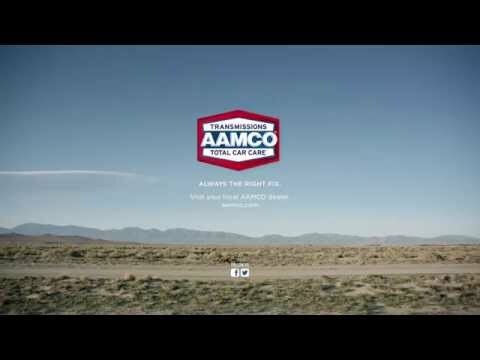 copyright© 2009-2019 AAMCO transmissions inc.